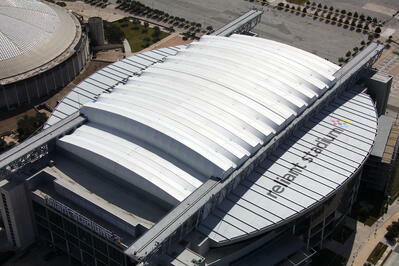 Looking for Fast Setting Roof Coatings? AcryShield® Quick Set roof coatings are exclusively designed to prevent early wash-off related to light rain and heavy dew weather conditions. 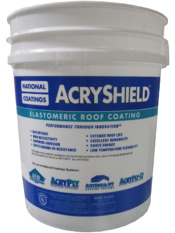 The full line of AcryShield Quick Set base coat and top coat products can be applied on nearly all roofing substrates. These watertight coatings not only allow for quick installation but also deliver a non-intrusive application process, a renewable system that can be maintained periodically to avoid a costly and timely roof tear-off, they are cost effective and provide reduced roof maintenance throughout the systems lifespan. AcryShield Quick Set products offer contractors peace-of-mind when conditions like heavy dew and light rain are forecast soon after initial application has begun. If necessary, any of the AcryShield standard coatings can be exchanged with these Quick Set coatings after a job has begun to ensure a speedy set-up and proper application. The Quick Set base and top coats can be used in our AcryShield Roof Management (ARM) Systems for roof maintenance, our AcryPly Roofing Systems for roof restoration, our AcryShield Spray Polyurethane Foam (SPF) Systems for restoration/new construction and on our AcryPly-D Deck Up Systems for new construction/tear-offs. AcryShield A610 is a premium quick-set top coat that has optimum adhesion to SPF and is excellent where extra levels of low temperature flexibility are required. A610 can be coated over a variety of other surfaces as well, including Asphalt, Single-Ply, Metal, and Concrete. A610 exceeds ASTM D6083 requirements. Are Roof Coatings Considered a Liquid Roof? Absolutely. Liquid roofing refers to the process of waterproofing a roof with a roof coating. Over the years, roof coatings or liquid roofing has evolved from a bitumen material in the early 1800s, to acrylics in the 60’s and 70’s, eventually leading to water-based elastomerics and polyurethane coatings. Regardless of the type of liquid roof you are speaking of, they all possess some similar characteristics as they are seamless and fully bonded together providing a waterproof membrane directly on top of your existing roof. In order for these roof coatings to be durable they must be flexible, expanding and contracting with the building below without ripping or tearing. There are several roofing organizations that rate and classify different liquid roofs for tensile strength, elongation, low temperature flexibility, reflectivity, energy efficiency, VOC’s and more. These organizations are extremely helpful in selecting a high quality roof coating that will last versus and coating with minimal ingredients that will fail quickly. Check out National Coatings' credentials and ratings – we are very proud of them! National Coatings has manufactures several acrylic, elastomeric roof coatings, each with their own unique benefits and capabilities for over 33 years. These coatings offer superior durability, excellent strength and adhesion, outstanding protection against damage and pre-mature aging, waterproofing capabilities and overall performance and consistent quality. Our liquid roof coatings go well beyond “starting point” recipes and are packed with UV blocking pigments and polymers to provide only the best to our customers. They meet rigorous standards set by ASTM, AIA, FM, ICC-ES, UL, Energy Star, CRRC, Title-24, Miami-Dade County, LEED and more. AcryShield liquid roof coatings can fully restore virtually any aged or failing roofing substrate, including: asphalt, BUR, concrete, EPDM, hypalon, new construction, metal, modified bitumen, PVC, single-plies, SPF (re-coat), stucco, TPO, and wood. This allows you to avoid a costly and timely roof replacement while protecting the environment by not contributing to already over-flowing landfills. These roof coatings can also be renewed, extending your roof life indefinitely. For more information on our liquid roof coatings and systems, download our FREE Full Product Brochure and learn how you can save money, lower your energy consumption, reduce your roof maintenance costs, restore your leaking roof to new, and more. A roof coating system or liquid roof is spray applied onto the roof surface covering and coating the entire rooftop. As the coating is sprayed, it spreads and “melts” if you will, together to create a seamless, monolithic roof membrane with no seams, no penetration holes, no joints and no gabs. The liquid coating covers and waterproofs those hard to reach areas such as pipes, drains, walls, HVAC equipment and anything else on the roof that makes it unique and difficult to waterproof. Roof coating systems do not require a roof tear-off. They are applied directly on top of the existing roof deck, eliminating everything involved in a roof tear-off such as removal of roof from building, removal of old materials from site, landfill waste and fee’s. Like mentioned above, because the roof is spray applied, the liquid roof coating system removes the extensive labor and time of cutting and sizing sheets of roofing material to work around all the penetrations, walls and objects you find on top of the roof. In additional to the shortened construction phase, there are liquid roof coatings call quickset coatings that giving contractors additional time to work during weather conditions that typically cause you to wait for drier weather. These quickset base and top coats provide resistance to early wash-off associated with heavy dew or light rain during installation. Kaiser Permanente Antelope Valley Medical Offices. A liquid roof coating system offers excellent waterproofing due to its seamless and monolithic membrane. The monolithic membrane is a durable roofing system that expands and contracts with equal tension across the rooftop during different temperature fluctuations. This is important because as all roofs need to expand and contract, most roofs have seams and/or nails that take the brunt of the tension caused by the expansion and contraction. Over time, it is common to find roof leaks and failures at these seams and holes. Lastly, roof coating systems are excellent for extending roof life, lowering roof maintenance and being environmentally friendly. These systems allow you to restore your existing roof and avoid a costly and timely roof tear-off forever. Installing a roof maintenance system every 10-15 years allows you to renew your roof, increase your roofs reflectivity, lower your energy consumption and add additional protection and waterproofing to your building without adding any additional waste to our already congested landfill sites. For more information on a liquid applied roof, download our free guide to roof coatings and/or our full line brochure!